It’s been said that the only way you can see where you’re headed is to look at where you’ve been. And as we come upon the end of 2018, the only way we can see what 2019 will hold is to look back at what’s happened in the last 12 months. And as far as marketing automation goes, there’s been more than a few shakeups. These are companies that, in the last year, got themselves on our radar as vendors who either have made waves in the space or have a strong potential to do so. So as we close the book on this year, here are some vendors to keep your eye on in the coming months. Anyone ranked as a cool vendor by Gartner is a company you need to keep eyes on. As one of Gartner’s Cool Vendors for AI in Marketing in 2018, Blueshift is a contender to watch in the new year. The vendor offers a unique take on multi-channel marketing and creatives. By utilizing their predictive programs, users can pit two potential creatives against each other. Using previously input and collected data, an AI will select the optimal creative/template to run with. The product also offers more traditional trappings of marketing automation including a campaign builder tool and trigger-based customer interaction. That innovation in AI creation, as well as their role in the Fuel Travel deal to create an AI-powered solution for the hospitality industry, is why Blueshift should stay on your radar in 2019. In 2018, Mautic made its debut on Gartner’s Magic Quadrant for CRM Lead Management. Gartner noted Mautic’s software to be a worthy inclusion to their rankings and ranked their offerings in the Niche quadrant. Gartner praised Mautic’s strong value as well as exemplary customer support while focusing on their freshman status as a provider, first opening their doors in 2014. However, glaringly absent in Gartner’s assessment was the fact that Mautic’s product is open-source, and therefore easy to customize to the user’s most detailed specifications. This makes Mautic unique in the market and well worth your attention going into the new year. We’re really big into AI around here and Tanjo implements it in a way like no other vendor. 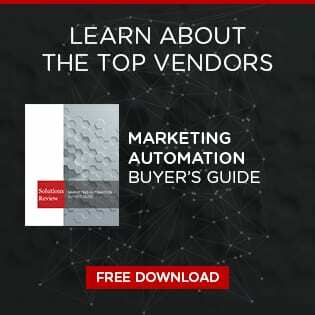 Another entry from Gartner’s Cool Vendors for AI in Marketing, Tanjo uses AI to help marketers get better ideas about the demographics they’re working to reach. AI used to bring to mind images of human-like intelligence and Tanjo’s Animated Persons (TAP) aren’t too far off from that. These artificial people are able to interact with marketers while simulating the behaviors and thoughts of the average person in a given demographic. They had our curiosity after being ranked by Gartner. Now Tanjo should have your attention. The darkhorse of the list, Ontraport offers all the major standbys of automation software: email marketing, SMS, landing page customization, CRM integration, the works. The provider also offers solutions for other functions such as business automation, making it a worthwhile option for those looking for multiple compatible products. Since the inception of this site earlier this year, Ontraport’s name has been consistently appearing as an up-and-comer in the space. These are just four of the vendors we are going to keep an eye on. As we previously noted in our 2019 predictions article, it’s very probable that many new vendors will emerge on the scene this year. The market will be worth a collective $5.5 billion next year, so it stands to reason we will see considerable growth. Growth in the market means more options for you, and no one ever complained they had too much variety. Next Next post: CMOs are Spending How Much on Martech Annually?